Make your air transit through Tokyo a breeze with a private vehicle transfer between Tokyo’s two airports, Narita International Airport and Haneda Airport (aka Tokyo International Airport). Choose the direction you need to go, and a professional driver will be waiting for you upon your arrival to take you to the other airport with efficiency and ease. Service is available 24 hours a day, seven days a week. And please note an English Speaking assistant will wait at the arrival point and direct you to your private vehicle. When you arrive in Tokyo at either Narita International Airport (NRT) or Haneda Airport (HND), your private driver will be holding a sign with your name on it in the arrivals area just after customs. 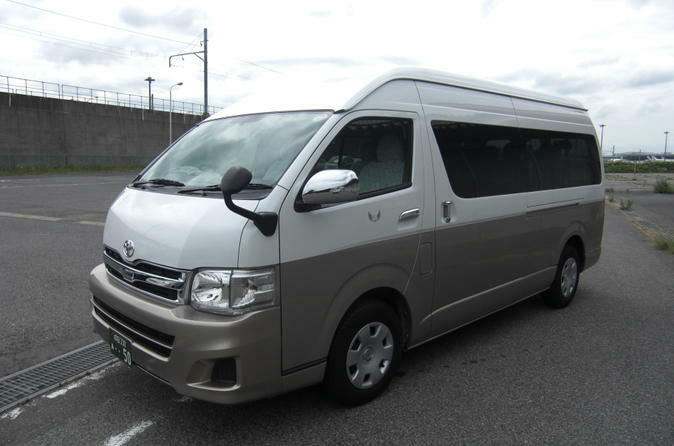 Hop in your comfortable private vehicle with your bags, and head to the other airport — you can travel either Narita to Haneda or Haneda to Narita. During the approximate 1-hour drive, relax and enjoy the sights of Tokyo out the window. Please be at the pickup location with your luggage at the scheduled time. Be aware that any no-shows will result in automatic cancellation.